KC Sunshine is the Midwest's Premiere Michael Jackson Impersonator. He has performed as a Michael Jackson tribute artist & Impersonator for almost 10 years, performed across 9 states & has been featured on America's Got Talent. Witness Any & ALL Michael Jackson's classic songs from the Off The Wall to The Invincible album. See the King of Pop brought to life through his unforgettable dance, iconic costumes & timeless music. Very professional!! So easy to work with and schedule. KC was awesome. My family was so surprised and enjoyed every minute of his performance. After he left, they called me and could not say enough wonderful things about it all! 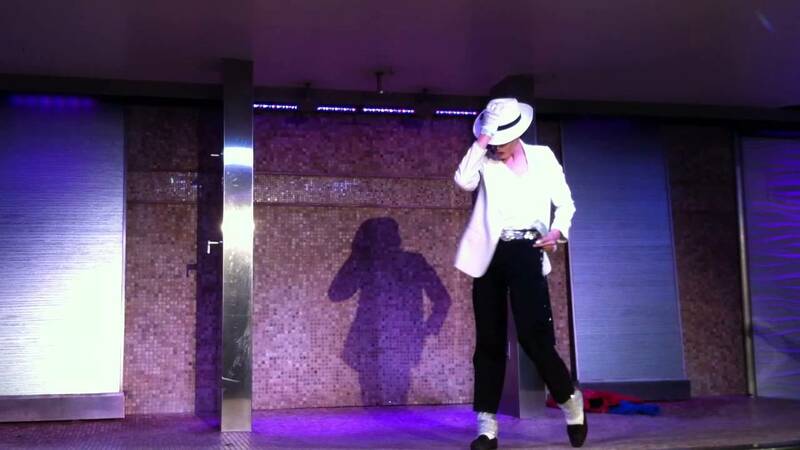 Had MJ make a surprise appearance for my sister's 40th birthday. She loved it! KC Sunshine was a huge hit. Dance moves were sweet & his outfits were on point! Thanks again! He was a great entertainer and I would suggest it for any type of events. Ours was a corporate event for 20 mins of performing. I know everyone loved it. Amazing performer!!! I would highly recommend. Oct 28,2017. Thank you again Kc sunshine Midwest Michael Jackson impersonator. You did an awesome job performing at my daughters 21 birthday get together. Job We'll Done Sir- hope to have another event that includes you soon. Thank you!! KC Sunshine brings to life the greatest entertainer of all time, The King of Pop Michael Jackson. Bringing to the stage ALL of The King's looks, costumes & signature dance moves with each performance. See every one of Michael Jackson's iconic songs performed with each iconic looks & outfit to match, from Thriller, Billie Jean, & Beat, to Bad, Smooth Criminal & Remember The Time. Be amazed as you witness the Man In The Mirror come to life with each dazzling show! Voted Kansas City's Favorite Performer of 2016 by The Vital Voice Magazine, KC Sunshine is The Midwest’s Premiere Michael Jackson Impersonator, is also the director, producer & host of The Legends Show in Kansas City. KC began performing as The King of Pop in 2009 while living in Houston, TX. He now lives in Kansas City traveling the Midwest on weekends, taking his illusions of Michael Jackson (and also Prince) to St. Louis, Columbia, St. Joseph, Wichita, Topeka, Lawrence, Emporia, Oklahoma City, & Texas. KC can be seen in Kansas City performing at Missie B’s, Hamburger Mary’s, and various festivals, fundraiser & concert events. He recently performed with the Grammy Award winning St. Louis Symphony for their Music of Michael Jackson event, can be seen in the July 2016 issue of The Vital Voice magazine in a full spread story, & was featured on several episodes of NBC’s America’s Got Talent this summer. KC Sunshine was also just voted Kansas City's Favorite Performer of 2016. Michael Jackson, & The Jackson 5.